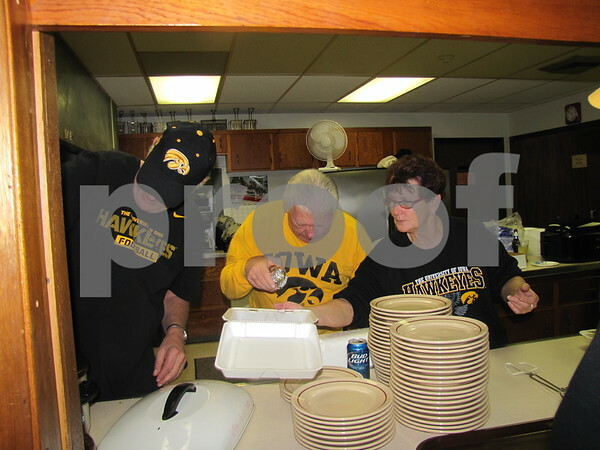 John Webb dishes up a grilled pork chop dinner as Bill Edgington and Kay Arends assist. 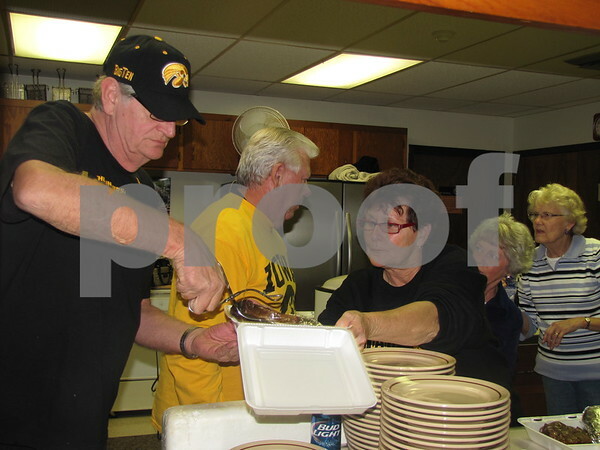 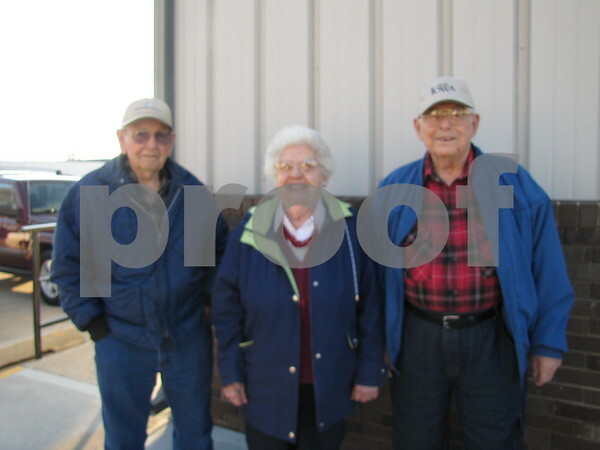 Kay Arends was serving dinners to attendees at the VFW Pork Chop Dinner held at Post 1856. 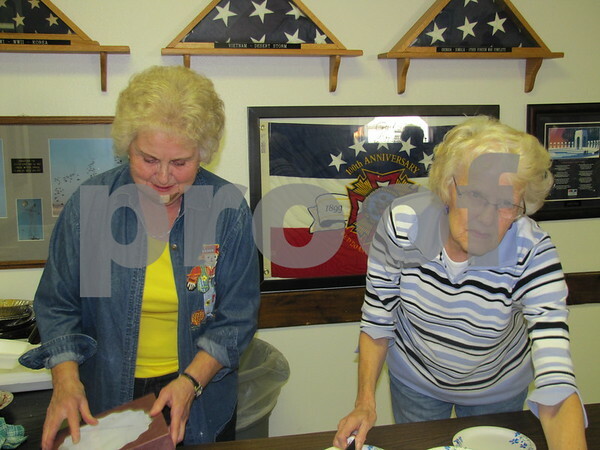 Karen Vosberg and Doris Grell of the VFW Auxiliary serve up homemade pie at the Post 1856 Pork Chop Dinner. 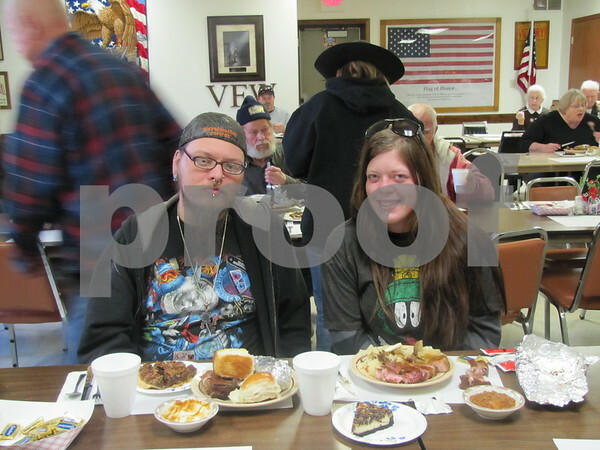 Bonnie and Harold Messerly pause will enjoying their pork chop dinner at the VFW Post 1856 in Fort Dodge. 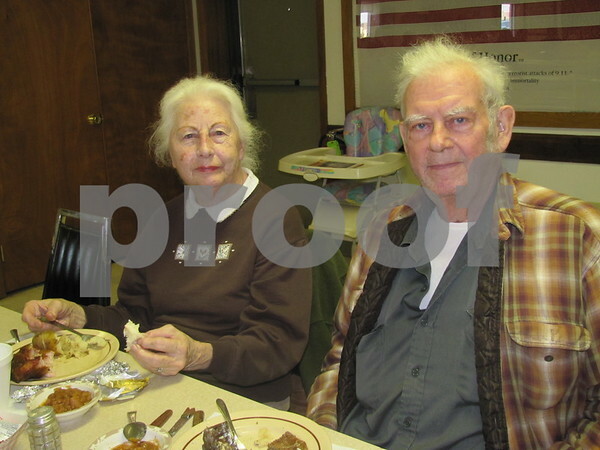 Ladies of the VFW Auxiliary, Sandy Jordison and Kay Arends. 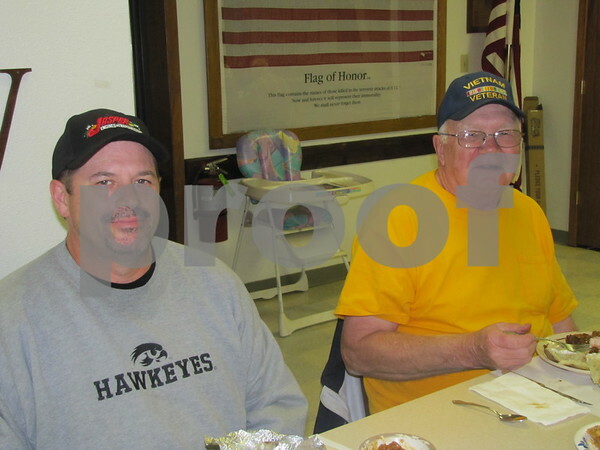 Luke McLoughlin and George Sorenson were out to support the VFW and enjoy the pork chop dinner held at Post 1856 in Fort Dodge. 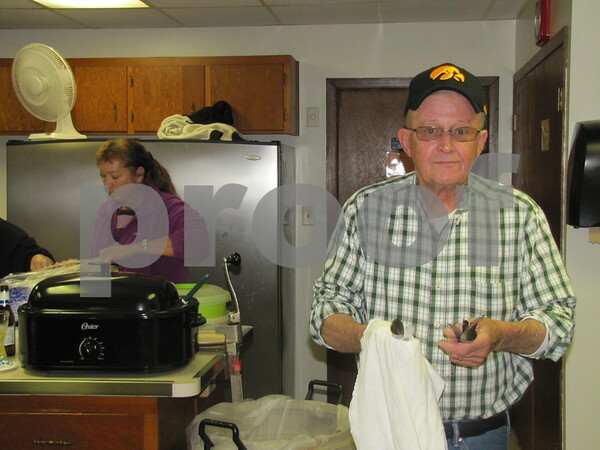 Al Geerdes does his part by doing dishes at the VFW Post 1856 Pork Chop Dinner. 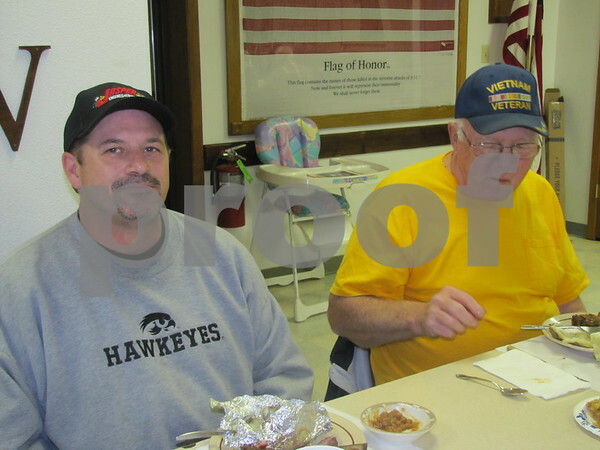 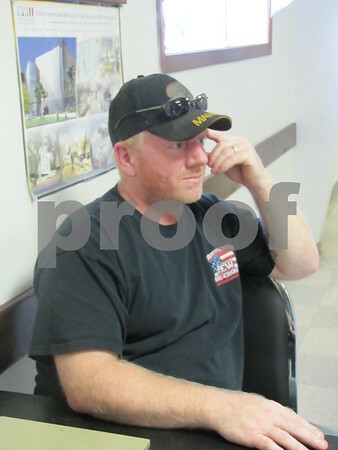 Veteran Kurt Hennings was working as cashier at the VFW Pork Chop Dinner held at Post 1856. 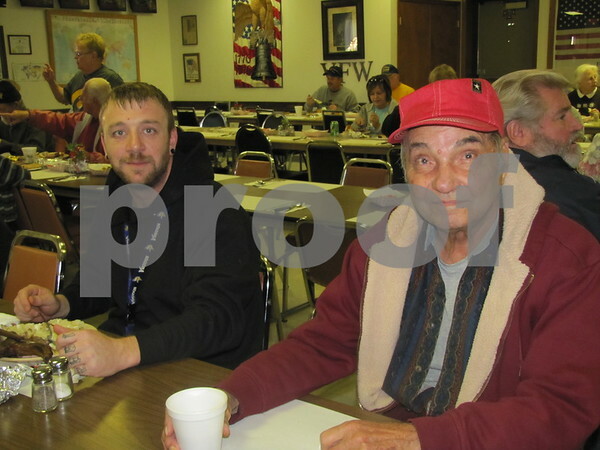 Laura Peterson and Dolores Greves outside VFW Post 1856 in Fort Dodge.